CAMP LUKBAN, Catbalogan, Samar – The encounter between Army’s 8th Infantry Division troopers and the armed members of the terrorist New People’s Army (NPA) in the hinterlands of San Jose de Buan municipality in Samar at around 1:00 p.m. last September 18, 2010, lead to the discovery and seizure of an NPA main camp located at about 500 meters from the earlier reported encounter site. Report reaching this headquarters from Col. Oscar P. Lopez, Commanding Officer of 803rd Infantry Brigade in the area, disclosed that the operating troops were able seize the said camp after the terrorists hastily left the area. The said camp has 43 bunkers with two classrooms that could accommodate large number of NPA personalities. Also, the operating troops recovered two generator sets, a water pump and tank, dream cable set, two ICOM handheld radios, three hand grenades, Universal Serial Bus (USBs) for computers, one sack of rice, a cache of assorted caliber ammunitions and subversive documents that contains important information. 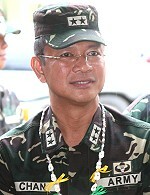 Major General Mario Chan, Commander of the 8th Infantry (Stormtroopers) Division, Philippine Army lauded his troops for a job well done and for exerting every effort and dedicating their lives in the accomplishment of the said task. He stressed that the 8ID troops shall continue to perform its mandate of protecting the people. Meanwhile, Major General Arturo Ortiz, the Commanding General of the Philippine Army and Lieutenant General Ralph Villanueva of the Central Command, AFP had conveyed to the troops their deep satisfaction on their efforts of addressing the threat groups in the area of Region 8. CATBALOGAN, Samar – The Philippine National Police (PNP) Samar Provincial Police Office welcomed its new director in the name of PSupt. Tomasito Clet, on Thursday in simple rites. PSupt. Clet replaced PSSupt. Pancho Hubilla whose two-year stint ended September 16, 2010. In his speech, Hubilla tried a few Waray lines with struggle and enjoined the mayors present and Samar Governor Sharee Ann Tan to give support to Clet. Clet, meanwhile called himself a ‘caregiver’ not a caretaker as he is designated Officer in Charge (OIC) pending upon appointment processes inherent in government. Like Hubilla, Clet also sought the support of the scores of the local chief executives and the chiefs of police who crowded at the cramp PNP conference hall. Hubilla seemed literally and figuratively ‘relieved’ as he mingled and joked with the local media during the lunch he tendered for them. “I will try to achieve a higher level of performance in my duty especially against criminality,” Clet said in his speech punctuated with jests that his audience enjoyed. The new director acknowledged his partners like the army, the church and other force multipliers that he referred to as his ‘team’. 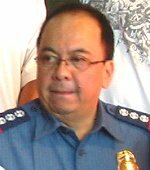 Clet was assigned at the Regional Office Command in Tacloban City prior to his Samar directorship. As a Bicolano and a member of PNPA class ’86, Clet was assigned in hometown Bicol and has been credited for his sterling command of security, peace and order during the Fiesta of the Lady of Peñafrancia where a humungous crowd always gather in Naga City. Clet was also one of the Ten Outstanding Policemen of 2006 while then chief of police in Iriga City. With his outstanding achievements in the service, Samarnons look forward to Clet’s battle with reported private armies in Samar, especially so that they tend to sprout during elections days. TACLOBAN CITY – The viability in the operations of the existing Roll-on, Roll-off (RoRo) ports in the province of Biliran gets a positive push by no less than the former Presidential Assistant (PA) in Eastern Visayas. Former PA Cynthia Nierras now back to her old post at the Department of Trade and Industry (DTI) in region 8, proposed to take a look of the viability of the operations of the three RoRo ports in Biliran which are part of new Eastern Seaboard route under the Eastern Nautical Highways. These ports are located in the municipality of Naval, Kawayan and in the island municipality of Maripipi. The RoRo port of Naval that costs P59.9M was started in 2007 and was finished in July 2008; Maripipi port - P53.8M was started in 2007 and was finished in Dece3mber 2008 and Kawayan - P17.1M was started in 2007 and was finished in January 2008. The new Eastern Seaboard route starts from Pilar, Sorsogon and runs through Masbate City and Esperanza town in Masbate, traverses Naval and Maripipi towns in Biliran province, San Ricardo in Southern Leyte and ends in Lipata, Surigao City in Surigao del Norte. Regional Director Nierras, who was one of the guests of Harampang sa PIA held recently, said that the previous administration’s aim in putting in place these transport infrastructures in the countryside was to further enhance economic activities, not only in Eastern Visayas but the entire Visayas, as well as travel and exchange of goods between Mindanao and the Visayas. 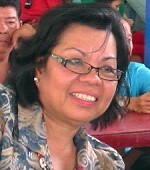 She encouraged not only the concern government agencies like the Philippine Ports Authority (PPA), Department of Transportation and Communication (DOTC), Maritime Industry Authority (MARINA) but also the local chief executives in Biliran province as well as the private sector engaged in the maritime industry to sit down and come up strategies and plan of actions or perhaps conduct a feasibility study on the viability of operations in these ports. TACLOBAN CITY – The annual International Coastal Cleanup Day will take place on Saturday, September 25, 2010. The International Coastal Cleanup Day is the world's largest, one-day volunteer effort to clean up the marine environment. Every September, volunteers from over 100 countries descend on local beaches, rivers, lakes and canals to show their commitment to cleaner waterways. Litter in the ocean isn’t just ugly, it impacts on everything. It can make the ocean more vulnerable to impacts from climate change, coastal development, and overfishing. It impacts on local economies, seafood industries, and recreation, and reduces access to beaches. There are Cleanup sites all over, including inland waterways, streams, and dams because, no matter where one lives, everyone is connected to the ocean. The litter that falls from one’s hands hundreds of kilometers away finds its way to the ocean, too. In some parts of the world, the International Coastal Cleanup is much more than just removing the trash. By using detailed, standardized data cards, volunteers gather valuable information about the types and sources of debris found. Analyzed and tracked year by year, this information serves as a powerful tool for educating the public, influencing public policy, and effecting positive behavioral change on the part of individuals, organizations, and communities. Grocery bags…bottles…cigarette butts…wrappers and straws. They don’t fall from the sky; they fall from human hands. And what’s washed up on the shore is only a fraction of what is in the water. Marine litter is symptomatic of a wider malaise namely, the wasteful use and persistent poor management of natural resources. The plastic bags, bottles, and other debris piling up in the oceans and seas could be dramatically reduced by improved waste reduction, waste management, and recycling initiatives. The International Coastal Cleanup Day engages people to remove trash and debris from the world's beaches and waterways, identify the sources of debris, and change the behaviors that cause marine debris in the first place. Everyone is invited to share in this endeavor. These were the exact words of Borongan Mayor Ma. Fe Abunda, referring to the latest Supreme Court ruling which disapproved the cityhood application of some 16 municipalities of the country, Borongan included. Mayor Abunda’s challenging statement was part of her inspirational message during the orientation seminar of the National Economic Research Business Assistance Center (NERBAC) which was held recently by the Department of Trade and Industry at the Borongan SB Session Hall. The Chief Executive laments that the Internal Revenue Allotment (IRA) was abruptly reduced, such that it largely affected their operation. However, Mayor Abunda is not likely bent to let go of the recent SC ruling adding that they will continue to advocate and fight if off, the legal way. “Now that only 12 of the 16 applicants have prevailed, we still hope for a favorable turn-around of events,” she said. With her economic advisers, Abunda is hopeful she can manage the financially strapped LGU because according to her they don’t stop on seeking for advices from experts, the DTI recently. For the recently concluded fiesta celebration where baratillos invaded the boulevard with temporary stalls, Municipal Administrator, Dayan Agda, in a brief pep talk with this writer mentioned that they have doubled the collection compared to last year’s. “This is something to ponder on. That when we are serious with our revenue collection, we can do it,” Agda bragged. QUEZON CITY – More than a hundred political prisoners in various detention centers all over the country staged a protest fast to press for their immediate release, and supported by their relatives and human rights advocates. Around 148 political prisoners from 20 detention facilities in the National Capital Region, Ifugao, Isabela, Tuguegarao City, Bohol, Danao City, Cebu City, Bacolod City, Tacloban City, Leyte Provincial Jail, Compostela Valley, Bukidnon and Cagayan de Oro joined in protest of their continued unjust incarceration. High profile detainees from Camp Crame and the 43 health workers in Camp Bagong Diwa lead the protest fast of political prisoners in Metro Manila that also includes prisoners in New Bilibid Prison, Camp Karingal, and Correctional Institute for Women. Meanwhile the relatives of the Morong 43, supporters and human rights advocates also staged a sympathy fast in front of the Ninoy Aquino monument in Quezon Avenue. President Aquino’s father, Ninoy Aquino, himself was a former political prisoner during the Marcos dictatorship. A mass for the Morong 43 at the neaby parish of St.Peters the Apostle was officiated by Bishop Deogracias Iñiguez. Sen. Loren Legarda, Human Rights Commissioner Jose Mamauag, former Rep. Liza Maza, ACT Teachers Partylist Rep. Antonio Tinio, Bayan Muna Rep. Teddy Casiño also attended, together with relatives and other civil libertarians. “It has been almost one hundred days since President Noynoy Aquino assumed the presidency and yet we haven’t heard any single word from the President about the plight and release of political prisoners who were illegally arrested and detained by the previous Arroyo regime,” said Fr. Dionito Cabillas, secretary general of Samahan ng Ex-Detainees Laban sa Detensyon at para sa Amnestiya (SELDA). On the other hand, Jigs Clamor, secretary general of Karapatan and husband of Dr. Merry Mia Clamor, one of the detained Morong 43, said, “Pres. Aquino must stop his empty rhetorics about the government’s respect for human rights since he has done nothing about respect for human rights and the plight of political prisoners”. 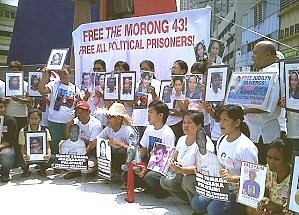 “The Morong 43 and all political prisoners are prisoners of conscience. They were arrested and detained because they fought against the corrupt and fascist Arroyo regime. Their continued incarceration is a sign of sick society under a government who claimed to respect for human rights,” Clamor added. Simultaneously, the Filipino community in Canada will today hold a candle light vigil to press for the release of the Morong 43 and all political prisoners. Messages of support and solidarity from various groups from Auckland, Germany, U.S. and Canada were also sent. Clamor said that the government must act now, and must act faster. “We are afraid that the fasting will become a full blown hunger strike and deal another political embarrassment for Aquino in the international community,” warned Clamor. 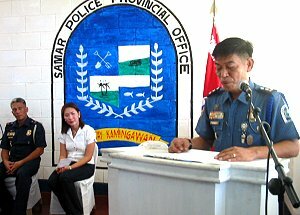 CATBALOGAN, Samar – The outgoing Police Director (PD) of the Philippine National Police (PNP) Samar Provincial Police Office PSSupt. 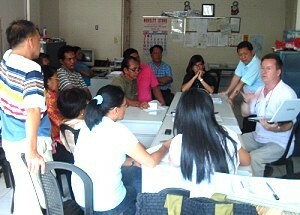 Pancho Adelberto Hubilla acknowledged the support of the clergy in his fight against criminality in Samar. In his speech, Director Hubilla first and foremost recognized Fr Cesar Aculan, Calbayog’s Social Action Director and the organization he represents. He described his two-year stint as PD in Samar as both ’enjoyable and memorable’. He added that the pastoral letters of the Catholic Church urging all the faithful to denounce criminality, was a big boost in the PNP’s mission. Hubilla also gave recognition to the Iglesia ni Kristo (INK) who also called its members to support the PNP and Hubilla. Under his leadership, warrants of arrests were effected and scores of wanted persons were apprehended and charged. His stint though was hounded by criticisms from the first district even accusing his men to be abusive. PSSupt. Hubilla, took all the challenges and urged those ‘aggrieved‘ to charged them. In time though, critics were unable to substantiate their accusations. The police officer also mentioned that he feels good when people approach them for just about anything, even those concerns outside their turf. “Nakalagay naman ho sa aming badges na police, hindi po Superman,” he jested. He considered the elections in 2010 as the most honest, orderly and peaceful one. Hubilla said he owed it to the close partnership with the COMELEC, army, the police and the church. In closing Hubilla melodramatically mentioned nurturing friendship with his professional allies like Governor Tan and Fr Cesar. Cavite Rep. Elpidio Barzaga Jr. has welcomed the move of Home Development Mutual Fund (Pag-IBIG Fund) officer-in-charge Emma Linda Faria to compel the firm's officers and staff to promptly report their acquisition of property in any housing projects of Globe Asiatique Realty Holdings Corp.
"This is definitely an exemplary step by Pag-IBIG's new management, in accordance with the safeguards of the Code of Conduct and Ethical Standards for Public Officials and Employees against potential conflicts of interest," Barzaga said. Barzaga said the mandatory reporting requirement should include any Globe Asiatique properties in the names of the spouses, children, brothers, sisters or parents of Pag-IBIG officers and staff. Faria issued a memorandum dated Sept. 11, ordering Pag-IBIG officers and employees to immediately report in writing their ownership of property in any projects of Globe Asiatique. Barzaga also cited the need to look into any Globe Asiatique properties that may have been acquired by previous board members and officers of Pag-IBIG. He pointed out that Globe Asiatique "apparently cultivated a relationship" with Pag-IBIG management long before then Vice President and housing chief Noli de Castro became fund chairman. "The potential conflict of interest is evident. Once a Pag-IBIG board member or official has properties in a Globe Asiatique housing venture, then that officer assumes a direct and personal stake in the project," Barzaga said. "Naturally, the officer will have an incentive to freely authorize the grant of as many loans as possible to borrowers who intend to purchase property in the same project, since the higher ownership and occupancy rates will invariably enlarge the value of the officer's assets," he added. Both the Senate and the House are investigating the hundreds of millions of pesos worth of fraudulent loans granted by Pag-IBIG to phony borrowers that were supposed to acquire homes in Globe Asiatique's Xevera projects in Pampanga. Excluding investment income, Barzaga estimates that Pag-IBIG collects some P1.6 billion in monthly contributions from eight million registered members, at a rate of P200 monthly per member, including the employer's share. "Congress is obligated to exercise exceptional due diligence in guarding these hard-earned contributions of ordinary private and public sector workers," he said. He also warned that any financial losses incurred by Pag-IBIG due to large-scale fraud would eventually lead to either all members paying for higher contribution rates; to the firm providing less loans and benefits to members; or to taxpayers ultimately extending extra subsidy to the fund. Pag-IBIG released loans almost P7 billion for some 9,000 homes built by Globe Asiatique. However, it later turned out that many of the homes were never completed, or remain unoccupied. MAASIN CITY, Southern Leyte – Governor Damian Mercado signed at his office on Tuesday a Memorandum of Agreement (MOA), along with some of the corporate giants of the country, to establish a project that would institutionalize fast access of communication during inclement weather as a way of mitigating the ill effects of impending or sudden natural calamities. The MOA signing was done as one of the highlights during the launching of the project, which was officially called “Strengthening Disaster Preparedness of Southern Leyte thru SMS technology”. It will be a corroborative undertaking with Smart, PBSP, the provincial government, and the nine municipalities and one city of the provinces that stand as its pilot beneficiaries, with funding provided by the World Bank in the amount of nearly P10 Million for a two-year project duration. TACLOBAN CITY – The heads of two law enforcement agencies that are now stepping up their campaign in containing the proliferation of illegal drug activities, appealed for help from the local legislators for an effective campaign and operation. Regional Director Julius Navales of the Philippine Drug Enforcement Agency 8 (PDEA) and Police Senior Inspector John Q. Sosito, Provincial Director of the Philippine National Police (PNP) in Leyte province appeared on September 14, 2010, before the members of the Sangguniang Panlalawigan (SP) of Leyte asking for their help in their agencies’ drive against illegal drugs in the region and in the province of Leyte. The big accomplishment of PDEA 8 was made possible because of the creation of the agency’s Task Force Samar Cocaine Bricks and the establishment of Oplan: Samar White. Both heads of the law enforcement agencies have opined that the active involvement of the community and other stakeholders would be a great help in minimizing or in eradicating the illegal drug problem in the province of Leyte and in the region as a whole.